Thiriyai is located 42 km off north of Trincomalee district and lies between Yan Oya and Pudavaikaddu Aru and bounded east by sea and west by hills. Election authorities have agreed to locate a polling station in Thiriyai enabling the resettled voters and the IDPs of Thiriyai and Thennamaravadi villages living elsewhere to vote in the forthcoming general election. About six hundred voters of Thennamaravadi, which is located 31 km off Thiriyai and seventy-three km from Trincomalee town and currently in the abandoned state, have also been allowed to vote in the Thiriyai polling station in the forthcoming election. Thennamaravadi voters have been living in a new settlement "Ponnagar" which is located in Mulliayawallai in the Mullaitivu district. Displaced Thennamaravadi people founded "Ponnagar " settlement when they fled to Mullaitivu for safety in the 1985 military operation, sources said. According to local officials, about 1500 voters have been listed to vote in the Thiriyai polling station in the forthcoming general election. 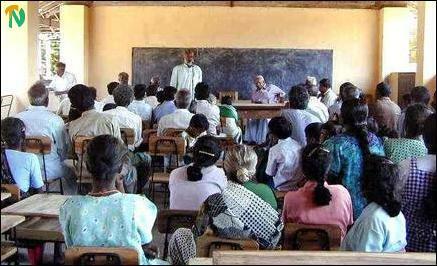 Tamil residents started leaving the village from 1983 onwards due to military operation and violence. However some of the internally displaced returned to the village with the arrival of Indian troops under the Indo-Sri Lanka peace agreement in 1987. These returnees fled again when the violence broke out in 1990 with the withdrawal of Indian peacekeeping force. 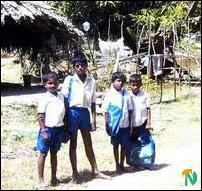 Thiriyai was completely abandoned by villagers in 1994 when the Sri Lanka Army launched a military operation. Soon after the signing of ceasefire agreement by the government and LTTE in the year 2002, a group of displaced families led by former parliamentarian Mr.R.Sampanthan went to Thiriyai to see their village. 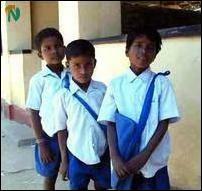 But the Sri Lanka Navy prevented them from entering the village. However when a group of displaced entered the village following the withdrawal of SLN, they found all their houses destroyed except three houses which were occupied by navy personnel, sources said. The only Tamil government school in the village has been re-opened since last year with two teachers including principal and with about one hundred students who are children of resettled families. 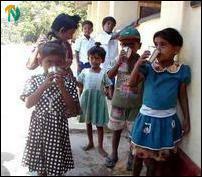 The school was a Maha Vidiyalayam before the village was destroyed.